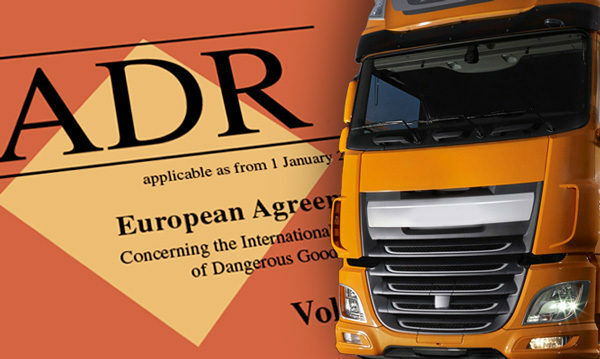 ADR sets out conditions under which dangerous goods can be carried by road. All hauliers need to be aware of the laws on transporting dangerous goods, and the procedures involved in classifying such goods to acheive full ADR compliance. Members of the Road Haulage Association have been advised that Cheshire police regularly carry out targeted inspections of ADR vehicles to ensure that hazardous loads are being transported in compliance with ADR requirements. The police have reported that the most common reasons for compliance failure are linked to faulty or out-of-date, on-board fire extinguishers. Cheshire police say that they find that sometimes extinguishers have not been tested or the test record has not been updated. Another problem is that the driver is unable to access a fire extinguisher because the storage box or bracket is positioned so the extinguisher cannot be removed. The extinguisher box lid being inoperative is another common cause of compliance failure. At a recent meeting Cheshire police asked that the RHA should advise members to be compliant in order to avoid potential roadside prohibitions and unnecessary delays. In particular members are asked to ensure that drivers are equipped to protect themselves, other road users, members of the public and the wider environment, as well as their vehicle and load. All operators of hazardous goods vehicles are advised to carry out regular checks to ensure ADR equipment is properly maintained, positioned and easily available to the driver in an emergency situation. The correct identification & labelling of dangerous goods and placarding of vehicles is also an important part of ADR compliance. Every person or organisation whose activities include the packing or consigning of dangerous goods by road has to comply with the marking and labelling requirements of ADR. Click here for ADR fire extinguisher requirements.